PPD officers arrest Jeremy Sousa for stabbing a man at Benham Park. 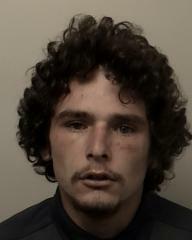 Placerville Police Officers arrested Jeremy Sousa for stabbing a man at Benham Park on 8-29-18. Click on link for info.